In order to change the transactional emails in Magento 2 go to Admin Panel > Marketing > Communication > Email Templates. If you have any issues with the media gallery in a blog post using SmartWave Porto Theme, please follow the steps below. First of all, if there are no blog post media gallery settings in the Magento 2 admin panel, please make sure that you use the latest version of the blog extension. and add this code into it. In order to create 301 redirect in Magento 2 please go to Admin Panel > Marketing > SEO& Search > URL Rewrites. 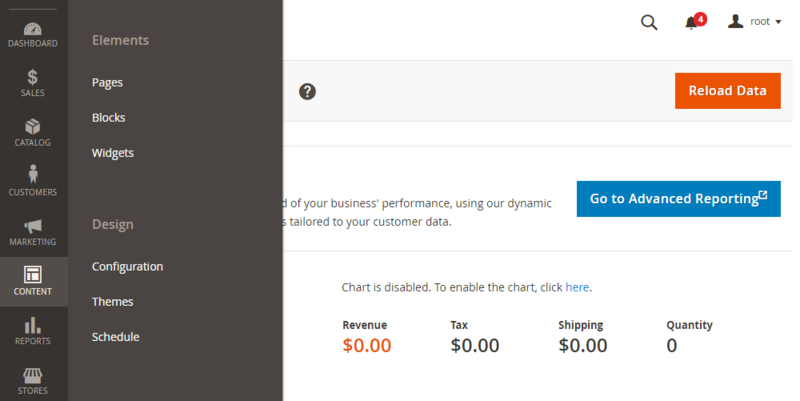 In order to convert guest to a customer please go to Admin Panel > Sales > Order. Choose an order what was placed by guest and simply press Convert Guest to Customer button. There are cases in which Google Search Console, Magento Security Tool or any other service ask to verify you to be the owner of the site and confirm it by adding to the Page <head> tag a code. In order to easily add it in the Magento 2 please go to Admin Panel > Content > Configuration. If you configure sales rule based on a product attribute and cannot choose (don't see) the required attribute, please go to Admin Panel > Stores > Attributes > Product. In order to configure Login as Customer Extention please go to Admin Panel > Stores > Configuration > Magefan Extensions > Login As Customer. 1. If you want the page cache to be disabled for you as a customer, choose correspondingly Yes in the Disable Page Cache for Admin User field. 2. If choose Yes in Keep Guest Shopping Cart Items guest shopping cart will be merged into customer shopping cart during the login process. Please, go to Admin Panel > Customers > All Customers.